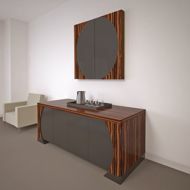 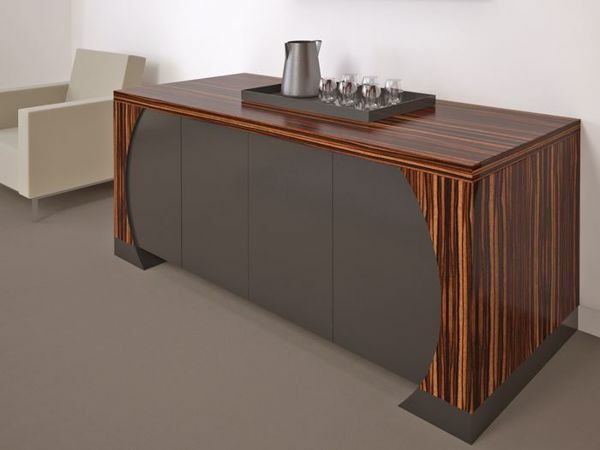 Zebano credenza complements its conference table series with duel extremities that picks up the lines on the table bases. 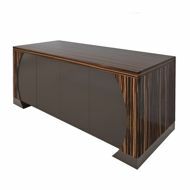 The contrasting ebony touch-latch doors offer a smooth unencumbered look while joining the visual affect of the table. 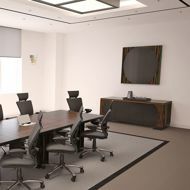 The Zabano presentation cabinets add functional beauty to your meetings. Available in other finishes and colors.